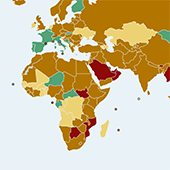 The International Network for Economic, Social and Cultural Rights (ESCR-Net) involves over 280 Members in 75 countries, together building “a global movement to make human rights and social justice a reality for all”. 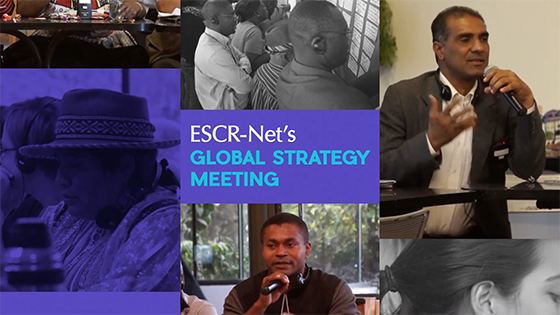 Over 100 Members from more than 40 countries will collectively shape ESCR-Net’s direction at our Global Strategy Meeting in Argentina, 15-19 November. 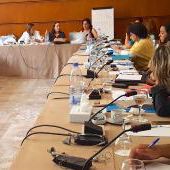 Women human rights defenders confront the impact of economic policies on women’s ESCR at a regional meeting in Lebanon. 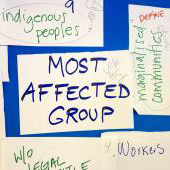 Members submit collective, cross-regional recommendations to shape UN treaty to stop corporate abuse. 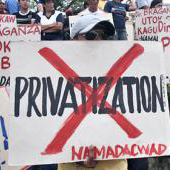 Multilingual webinars advance human rights analysis of trade and investment, privatization, and infrastructure. 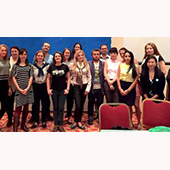 Regional workshop in Bulgaria builds capacity of women’s rights advocates in utilizing human rights treaties and mechanisms. 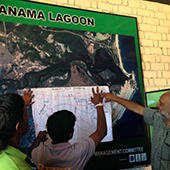 Grassroots fisherfolk leaders address growing criminalization at a security and protection training in Sri Lanka. Briefing papers on women and ESCR relating to land, work and health are now available in Arabic. NGO Campaign for the Optional Protocol to the International Covenant on ESCR celebrates Central African Republic’s ratification amid ongoing actions.